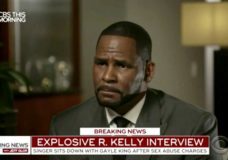 CHICAGO — In his first interview since being charged with sexual abuse, R&B star R. Kelly cried and ranted about being “assassinated,” calling his accusers liars and alleging that people are after him for his money. 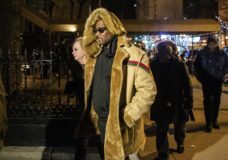 CHICAGO — R&B singer R. Kelly signed autographs and waved at a fan who yelled “I love you!” when he stopped at McDonald’s in downtown Chicago after being released from jail in his sexual abuse case. RICHMOND, Va. — With Virginia’s top three elected officials engulfed in scandal, fellow Democrats were rendered practically speechless, uncertain of how to thread their way through the racial and sexual allegations and the tangled political implications. 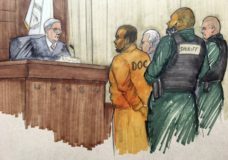 NEW YORK — A woman who accused R. Kelly of sexual abuse says he wrote a letter threatening to reveal details of her sexual history if she didn’t drop a lawsuit. NEW YORK — Vermont Sen. Bernie Sanders and his chief lieutenants are offering contrition as some of his 2016 campaign staffers face allegations of sexual harassment that threaten to derail a second White House bid before it begins. 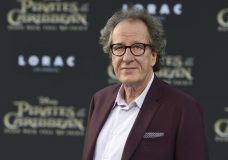 NEW YORK — “Orange Is the New Black” actress Yael Stone alleged actor Geoffrey Rush engaged in sexually inappropriate behavior when they starred in “The Diary of a Madman” in 2010. Their famous client behind bars, Bill Cosby’s legal team is readying a long-shot bid to get his sexual assault conviction overturned. They’re also fighting civil lawsuits filed by some accusers that threaten to drain his vast fortune.